Click name of golf courses below (in bold type) for course details and photographs. 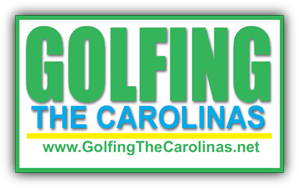 This easy to use directory of golf courses makes it a snap to find a list of golf courses in North Carolina and South Carolina to plan a day of golf, or a golf trip. The list of golf courses is broken down by geographical area, making it easier to find a course in the targeted area where you want to play. Or, you can simply browse the site and view our list of golf courses to make future plans. We make finding a golf course as easy as pushing a button.